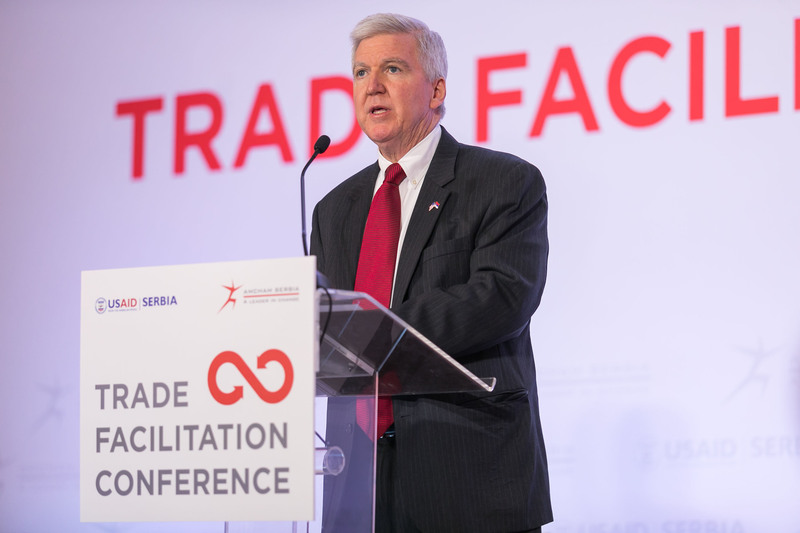 “The abolition of non-tariff barriers to the American Chamber of Commerce is a priority in the field of foreign trade and an important precondition for the growth of economic activity,” said Jelena Pavlović, President of AmCham, at the Trade Facilitation conference, organized by AmCham together with the USAID REG project in Serbia. Following the establishment of the National Coordination Body for Trade Facilitation, just over a year and a half ago, AmCham is pleased with the fact that the authorities have accepted the priority requirements of the economy and included them in the Action Plans of Working Groups whose deadline for implementation is end of 2019. “We believe that the equalization of foreign trade procedures in the region is a great export opportunity of Serbia that needs to be built in parallel with the simplification of import procedures,” said Jelena Pavlović, and emphasized that AmCham encourages all border services to consistently apply the principle of risk analysis. • Accelerating customs clearance of express shipments since October last year implies electronic filing of declarations and risk analysis before arrival of the shipment. b. With Bosnia and Herzegovina, it was agreed to recognize test reports for technical goods by accredited laboratories in BiH, and problems related to sugar import and the application of food declarations were solved. • The introduction of an electronic filing of a request for a binding notification of the origin of goods is under way. • It is about defining more precise procedures for importing easily perishable goods. Today’s conference, organized by AmCham and USAID REG project, was attended by a large number of representatives of various competent authorities in the field of foreign trade, which is a continuation of the systemic public-private dialogue on the topic of foreign trade.